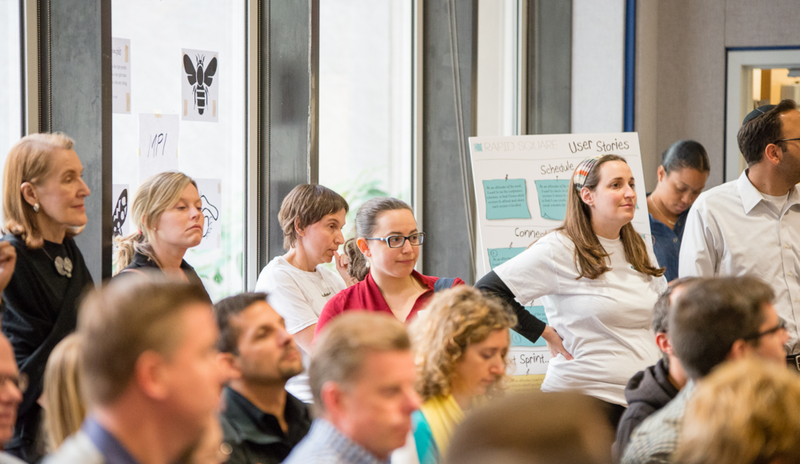 If you are a Scrum Master, Agile Coach, Manager, Leader or any type of Change Agent in an organization that’s running into challenges while trying to implement an Agile Transformation, you need to attend this years hands on and interactive Agile Day which will have a focus around Challenges for Agile Organizational Change. Come join your peers and have real conversations about the impediments you encounter while trying to transform and together propose solutions. 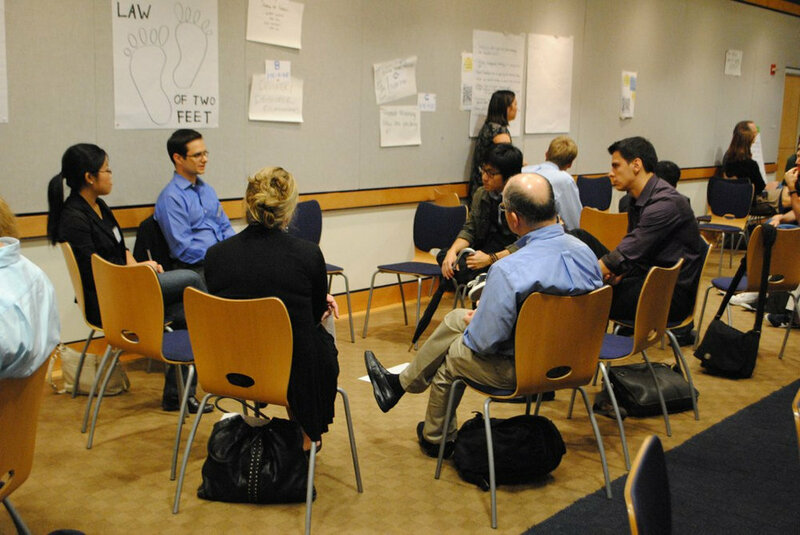 In a serene setting at Pace University’s Westchester Campus in Pleasantville (an easy commute from Midtown Manhattan), this year’s Agile Day will be unique like none before because YOU will draw the outcomes of the day in a 2-part approach. Learn about and understand the benefits of conducting “Opportunity Spaces” - a concept introduced by Sweta Mistry from our A-Team which is built on the foundation of Open Space Technology. 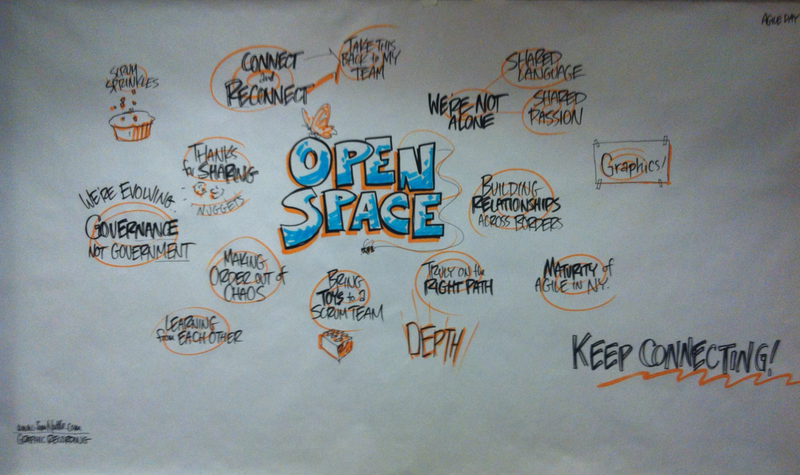 We will then experience the first public Opportunity Space to build an Organizational Change Map as a group. “How do we alleviate Organizational Change Impediments and Take Action?" And, as always, we will end with beer and hor d'oeuvres. So, regardless of how large or small the challenges you may be encountering in turning your organization Agile, you will walk away with conversations and potential solutions from others who are also challenged with similar problems and are hands on practitioners like yourself. Don’t miss this unique Agile Day from AgileNYC. By Train: Use Metro North from Grand Central Terminal to Pleasentville on the Harlem Line. Pace University offers a free shuttle service every 15 Minutes between the train station and the campus. The pick-up location is at the intersection of Memorial Plaza and Bedford Road right at the train station of Pleasentville. There is also a sign that says "Pace University Shuttle Bus Stop". Enter Pace University campus through Entrance 1. Make an immediate right and then make a left at the stop sign. Continue down the hill to locate parking area F (which is alongside the Miller/Lienhard Buildings). Take the stairs on the left side of the Lienhard Building to get to the Kessel Student Center Gottesman Room. There will be directional signs for roads and walking paths. Sweta Mistry is an Organizational Transformation Coach with an Agile focus. She has 17+ years of professional experience in industries including manufacturing, retail, education, non-profit, marketing, and media. Her journey from a developer to a coach was a result of her focused interest in human behaviors/relationships, psychology, and humanizing processes. She has a passion for all things related to Emotional Intelligence (EQ) and bringing those aspects out in her teams. As a "Humanizer" and change agent she encourages organizations to identify with core innate qualities to realize individual potential and develop habits that can positively impact both aspects of one’s personal and professional lives. Her current research to create “Opportunity Spaces” is built on a foundation from some concepts of Harrison Owen's Open Space Technology. She strongly believes that given some organizational structure and support, individuals can thrive in a self-organizing and autonomous environment with the intent of positive outcomes and overall joy.